Do you like to be creative with left overs and serve it in a new way? Then you will like this idea. I always make Chana dal bottle gourd Subji extra since I can always make sandwiches from it. Other thing i make it quesadilla. They taste really good and so easy to make when you have left over Subji. Last minute lunch or breakfast. Make Subji dry . No extra water should be there else it will make quesadilla soggy. Spread Subji on tortilla , sprinkle Mexican cheese blend or cheddar cheese. 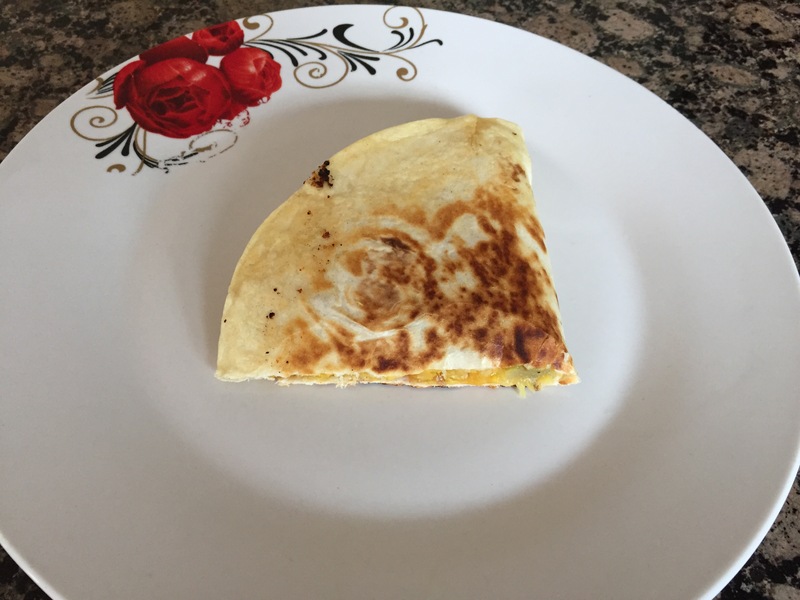 Cook regular way you make quesadilla. Done . As am watching show “chef on the wheels”, thinking how he is traveling across India and connecting with farmers, ppl through food. Whatever we do, we can include everything into it and give it a life. On the singing show, contestants are asked to sing in a new language. Isn’t that amazing? A great singer will be able to sing in any language and listener won’t even know that it’s not singer’s mother tongue. All part of learning and growing and of course having fun with it. Never stop learning . This entry was posted in Breakfast, Dal, Others, Sandwich. Bookmark the permalink.